Once again the populist are making attempts by using different methods to disrupt the negotiations between Ukraine and the International Monetary Fund (IMF) with the aim of exacerbating the socio-political situation in the country. Their latest effort is the publication of a so-called "text of Memorandum with the IMF," Ukraine's Finance Ministry has said. "A final text of the Memorandum does not exist. 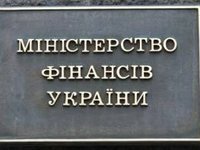 Negotiations on the final text of the Memorandum are still in process… Finally approved and translated into Ukrainian language, text of Memorandum will be published by the Ministry of Finance on the official web-site of the ministry after signing of the Memorandum which is expected within this month," the ministry said. The ministry said all communication between the government of Ukraine and the IMF is conducted in English. Any interpretations of the so-called "text of Memorandum" which was been published in the Internet are not true and regarded as speculation (particularly with regard to retirement age, abolishment of the moratorium on sale of land), the ministry said. "The government has conducted constructive negotiations with the IMF on key areas and made every effort to comprehensively protect the interests of citizens of Ukraine," the ministry said. "The government is focused on changes that will improve the economic situation and provide citizens with the opportunity to receive respectable salaries, pensions, and public services. And the IMF is a reliable partner of Ukraine," the statement says. Ukrainian Prime Minister Volodymyr Groysman also said there is no final text of the memorandum with the IMF.